TOKYO -- Suzuki Motor today posted a 7.2 percent rise in operating profit, as increased sales in India and Europe offset the negative impact of currency fluctuations. Operating profit at Japan's fourth-largest automaker by sales came in at 59.2 billion yen ($586.25 million). Vehicle sales in India, its biggest market, rose 5.2 percent in the April-June period, while sales in Europe rose 15.2 percent. 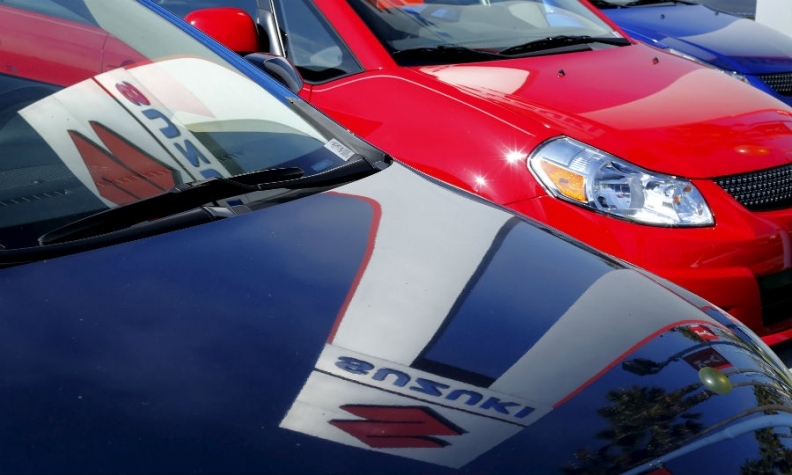 Suzuki maintained its forecast for full-year operating profit to slide to 180 billion yen, based on a budgeted annual rate of 105 yen to the U.S. dollar.